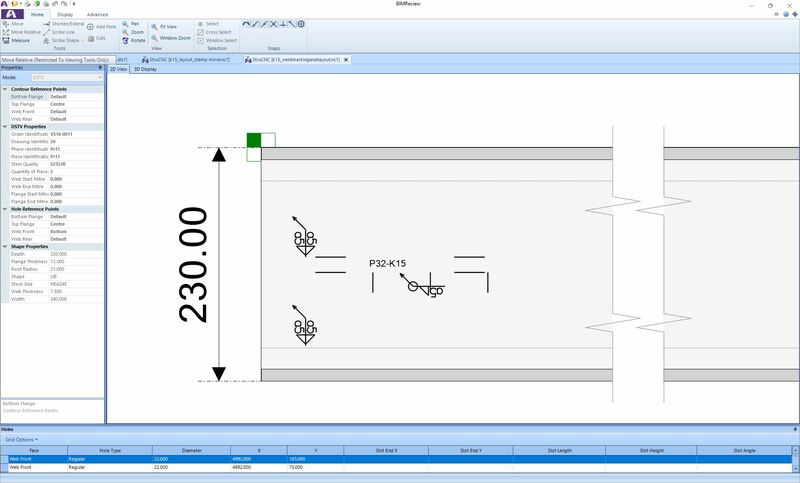 Weld and layout marking are intended to automate the manual marking of connected parts on a main component. In essence you can use the material to tell you where to place it and how to weld it, on all first order fittings without having to manually mark the information. By marking the material automatically you can have peace of mind knowing that you have added a beneficial step to the fabricating process, one that saves time and money. 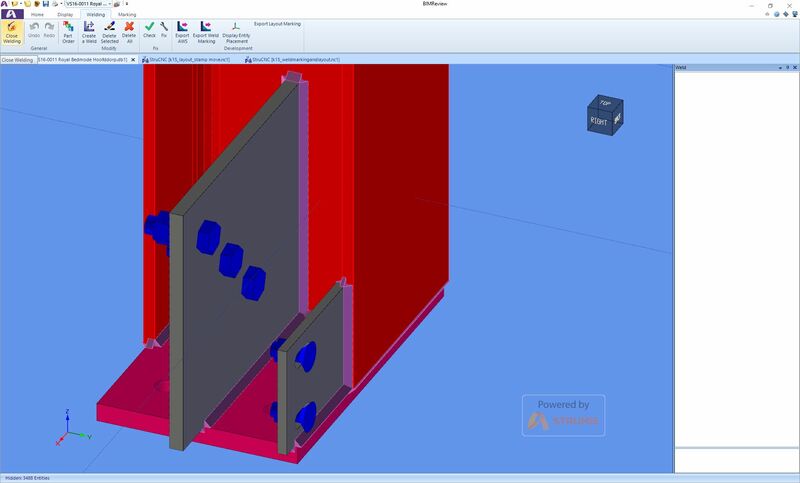 In order to automate this process STRUMIS analyses 3-D models from engineering systems and generate marking lines based on contours and connection holes as much as possible. The marking information will be generated as KO and/or PU blocks (setting) and the corresponding position numbers will be generated as SI or KO/PU blocks (setting) and outputted as DSTV NC files. Marking is created by using plasma or milling. Marking by plasma creates a surface discoloration and vaporizes a small amount of material. Milling creates the highest quality mark which is even visible after shot blasting, painting or galvanizing. Pop marks can be used within layout welding, which means the machine will be doing a minimal amount of work. Again saving time throughout the fabricating process with machine precision marked information. Another option you have control over is to mark each part with a unique assembly/serial number as well as having the layout marking on the material for the attached parts, which will provide full traceability.